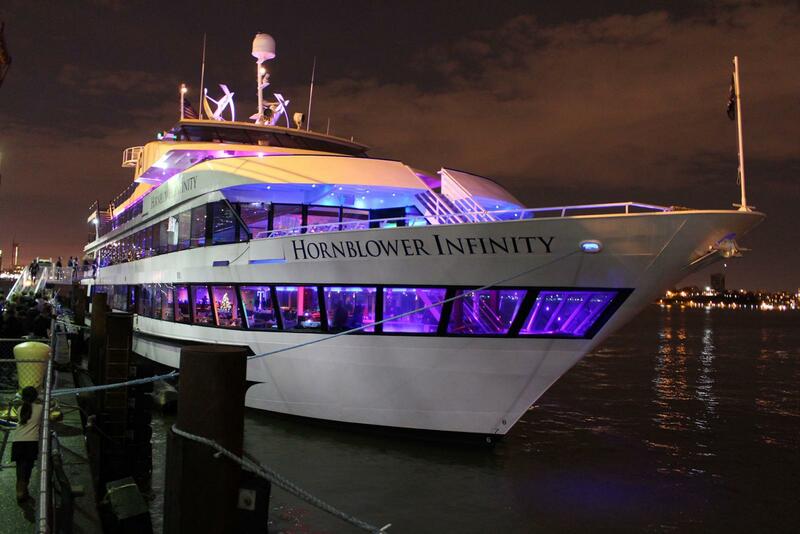 This two-hour lunch cruise through the New York harbor is a new addition to the portfolio of NYC sightseeing cruises. 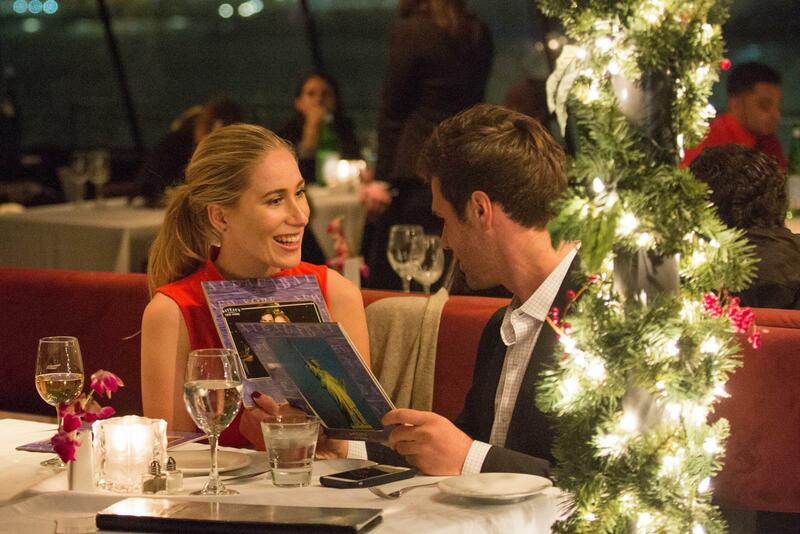 It allows you to take a break from the hustle and bustle of the city and relax on the water while you wine and dine. 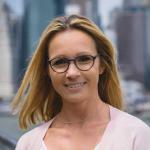 Take a ride with Bateaux New York from the Hudson River to the East River and enjoy the wonderfully relaxed atmosphere on board. The roof of the boat is completely encased in glass. 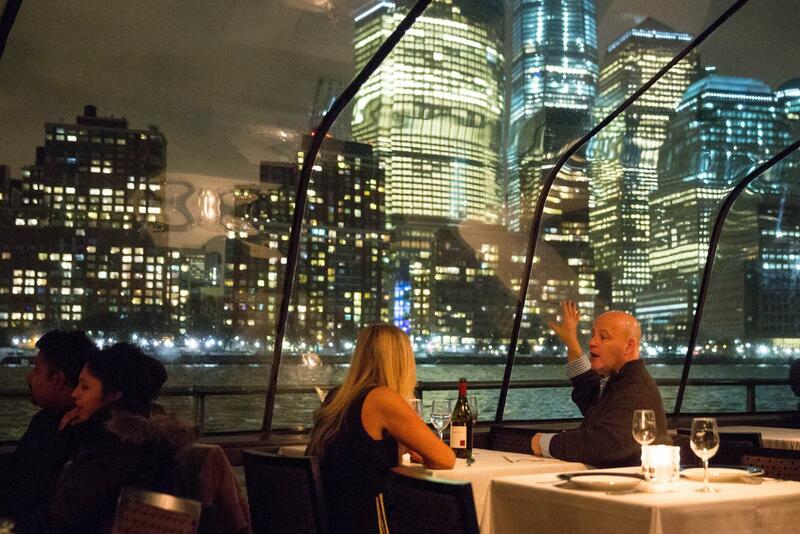 This allows you to gaze across the New York skyline while enjoying the delicious three-course lunch at the beautiful on-board restaurant, regardless of the weather. Your cruise on the Bateaux New York departs from the Chelsea Pier at lunchtime. The boat, which is fully encased in glass including the walls and domed roof, provides an ideal viewing experience. Enjoy 180 degree views of all the highlights such as the Brooklyn Bridge and Statue of Liberty. The atmosphere on board is elegant, and appropriate attire is required. Men should wear long pants and women should refrain from wearing short shorts and flip-flops. 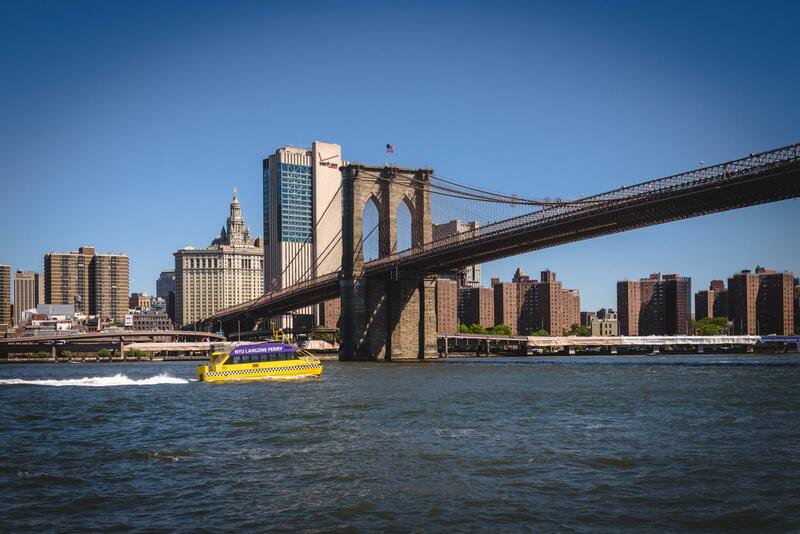 You will cruise from the Hudson River to the East River while enjoying a freshly-prepared, delicious lunch. The lunch cruise to the Statue of Liberty is very popular and sells out quickly. Be sure to book this cruise in advance so that you can secure your seat on the boat. 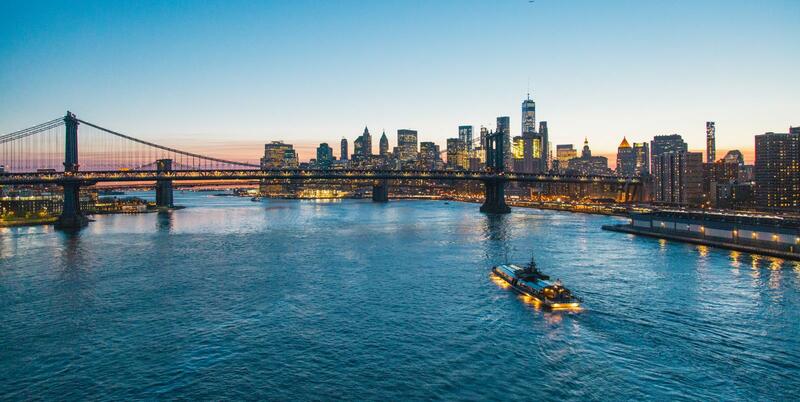 Our Tip: Several Cruises are also Included in the New York Passes!